Holiday weekend & what's that you say about the Dragon? It’s Memorial Day weekend and the unofficial start of summer here in the USA and that means parades honoring all the men and women who paid the ultimate price in protecting our country, barbecues with family and friends, beach days (weather permitting), lazy days in the backyard in the hammock (perfect spot to read) and a bit of gardening if your so inclined. 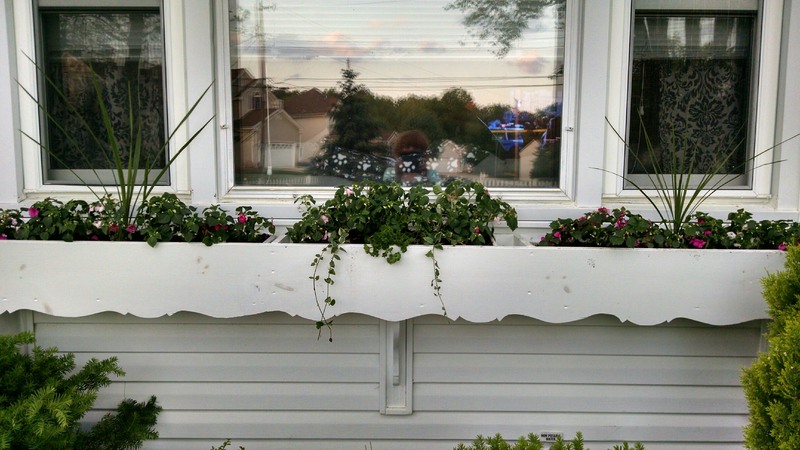 I worked on my windowbox and can’t wait to see it fully bloomed. I’m also busy putting the finishing touches on the second excerpt of Highlander The Dark Dragon that will be sent out exclusively to my Book Alert List on Monday. You will get to see the Dragon up close since…off comes his helmet. If you haven’t subscribed to my Book Alert List yet go to the top of the page and sign up so you don’t miss a chance to meet the Dragon. You will also get a chance to take part in an exclusive contest. The wait for this book is just killing me lol. I’ve read the other 2 over and over again and I am counting down the days until the release. I love your books. LOVED LOVED THE DARK DRAGON EXCERPT!!! My daughter and I cant wait for this book!!!!! We are constantly checking your website for its release! The anticipation is killing us!! Come on Ms. Donna we are waiting for you! Verda, it shouldn’t be long now and so happy you enjoyed the excerpt! Thank you Ms. Donna!!! I hope it won’t be long. You’ve wetted my whistle for this book and I can hardly sleep. Athenia, it shouldn’t e long now and Cree & Dawn will have another story coming soon! I subscribed to the book alert list after May 23, how do I get the second excerpt? Or am I outta luck? Sandy, please get in touch with me at donna@donnafletcher.com. Anxiously awaiting the release. I love the story line of the sisters and can’t wait to see if my predictions for the Dark Dragon and Heather are true. Thank you for sharing your art with the world. God has blessed you with a true gift of creating story’s that intrigue and entertain. May God Bless You. I check this website all the time for updates because I Love your books! Especially Macinnes Sisters and Dawn and Cree…sooooo excited for both of the next stories. I have to admit I am dying to unravel the Dark Dragon…. Have so many theories in my head about him, lol. I signed up for the book alert list just last week! Is there anyway that I can still have the two excerpts sent to me? I cannot wait for this book! I am actually re-reading the second one right now in anticipation!